From territorial days until the 1920s, Brady Heights was an important part of the then fashionable north side of Tulsa. Young professional businessmen and oil men, like G. Y. Vandever, I. S. Mincks and “Diamond Joe” Wilson, owned homes there. The area derives its name from Tate Brady and from the addition which bears his name. 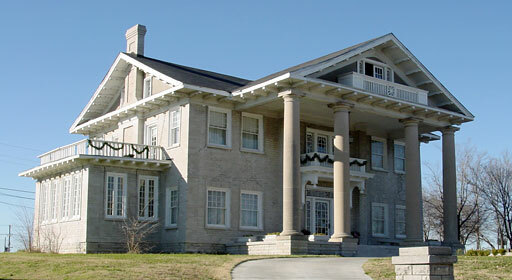 The Brady Heights Historic District was placed on the National Register of Historic Places on June 27, 1980 — Tulsa’s first district to be listed in the Register. It was listed under National Register Criteria C, and its NRIS number is 80003302. Cultural Resources in the Tulsa Urban Study Area, by Kelly C. Duncan, edited by Annetta L. Cheek, Archaeological Research Associates Research Report #14, 1977: District, p. 41; Grosshart Sanitarium, p. 38; Tate Brady House, p. 22.